One of my favorite blogs is The Impatient Gardener. Erin has a gorgeous yard but she also has a beautiful home that I've enjoyed seeing her renovate. 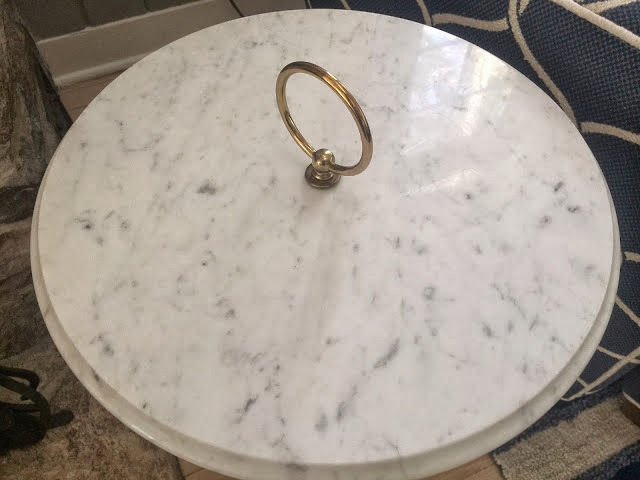 I have a marble side table in my house and I didn't realize I started a little something with it. Erin said she'd been looking for one ever since. 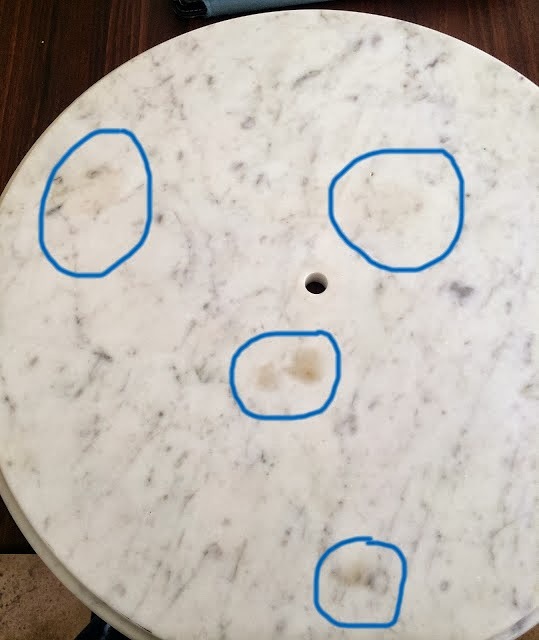 She recently found one on Etsy, but the marble had some unknown stains on it. Being the awesome diy-er that she is, she took to the internet and figured out how to get the stains out. I LOVE the table! Isn't it fun and unique? To see how she got the stains out and for more photos be sure to visit her blog. 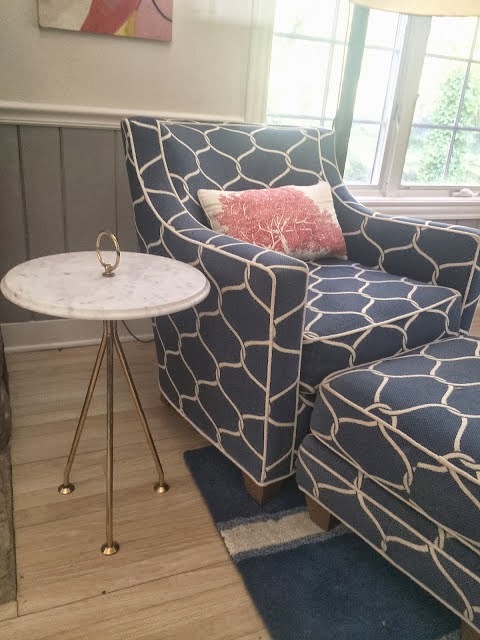 Thanks Erin for sharing your beautiful table with us! I'm so glad you finally found something you love!